The 10 Best Bike Shops in Arkansas! When it comes to bicycles, Arkansas has everything you need for any adventure on any type of terrain. It doesn’t matter if you prefer mountain biking, racing, or the occasional leisure ride, these Arkansas bike shops have what you’re looking for. Here are our favorites! The bicycle program at Lewis and Clark is one of the best in the state! All new bikes purchased here come with free lifetime tune-ups for as long as you own the bike. Not only that, but this bike shop offers a 30-day test ride as well as price matching. The goal at GPP Cycling and Multisport Shop is simple, “Crank up life” as they strife to provide you with the best selection and service to do just that. This great bike shop features services like free lifetime bike tune-ups for as long as you own the bike. Phat Tire Bike Shop has been a Northwest Arkansas favorite since it opened in 2007. The owners of this popular bike shop grew up in the same community that they now serve. From apparel and accessories to service and repair, Phat Tire Bike Shop features everything you’ll need to maintain a great biking lifestyle. Since 1971 this bike shop has been the place to gear up and go in Central Arkansas. Chainwheel has evolved with the times to maintain its award-winning customer service and reputation of excellence. From the rental program to custom bikes, this shop is sure to meet all of your bicycle needs. Angry Dave’s believes that the best bang for your buck upgrade on a bicycle comes with a new set of wheels. 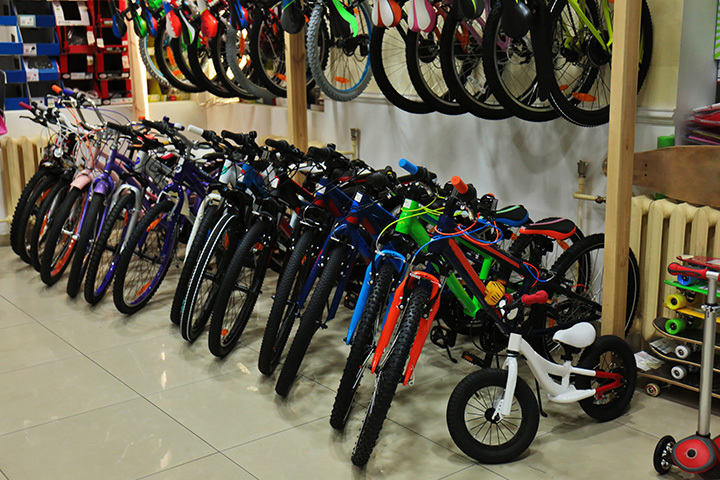 This bike shop carries a wide range of mountain bikes, road bikes, recreational bikes, BMX and street bikes. Angry Dave’s is located in the historic Park Hill area of North Little Rock. Whether you need a new bike or just need repairs made on your existing bike, Champion Cycling in Fort Smith is here to help. The service staff at this bike shop is professionally trained and certified to work on all bicycle makes and models. From bikes and wheels to helmets and shoes, you’ll find everything you need in Champion Cycling’s online catalog. The goal at this Northwest Arkansas bike shop is to provide each bicycle customer with an exceptional experience. The Bike Route is known for featuring same-week repairs and a comprehensive inventory. Mojo Cycling in Bentonville is a different kind of bike shop, where even the owner is addicted to bikes. Mojo’s is known for selling top notch bikes brands like KHS Bikes, Orbea Bikes, and GT Bikes as well as frame-specific brands like Canfield Brothers and Transition. For nearly 25 years, Arkansas Cycling and Fitness has been building its reputation of friendly customer service. Smooth out any terrain on a specialized mountain bike from this popular Central Arkansas bike shop. For more than 40 years this bike shop has been helping Northwest Arkansas experience the joy of cycling. The Highroller Cyclery opened its doors back in 1972 and has since earned a name for itself as one of the best bike shops in the state. Today this bike shop is known for its specialized bicycles.